The obituaries have been ready for years. The recent declining health and time in hospital should have inspired all news organisations to dust down their specials and bring them up to date. So how did the press fare in its biggest test of the digital age? Could newspapers react as quickly as broadcasters to produce wall-to- wall web coverage while preparing tomorrow's print edition? We saw some stunning work for the Olympics, but everyone knew exactly when they were coming and could staff up accordingly. 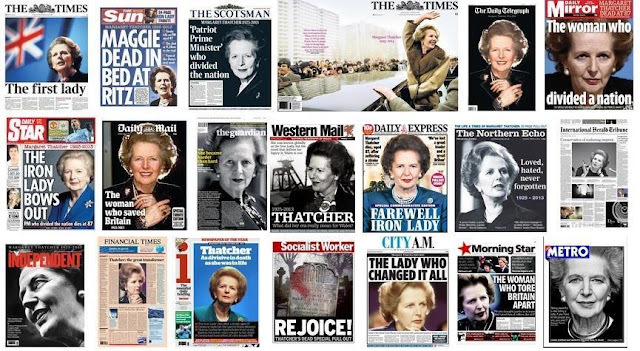 Margaret Thatcher died on a Monday morning in the middle of the schools' Easter holidays and with Parliament in recess - the very time that top political writers and newspaper executives are away with their families. With papers at their thinnest on Mondays and Tuesdays, staffing lower down the food chain is at its leanest. So there will have been a scurry of phone calls to muster troops for the challenge ahead. Online teams crashed and burnt to get the bare facts up as fast as possible, while the print lot took stock and prepared a strategy. First task was to examine what they already had, how much needed simple updating, how much had to be reworked and how much should be junked. They also had to consider hiccups such as people moving on - the reappearance of bylines for journalists who had long since left and even died. The Guardian's front-page piece is an epitaph written by Hugo Young a few days before his death and the website carried a video of Polly Toynbee and Oliver Letwin debating the Thatcher legacy with Philip Gould, who died in November 2011. The picture below from The Times's design chief Jon Hill shows proofs of the paper's prepared coverage laid out in the conference room ready to be dissected. This supplement started life in broadsheet form at least three editors ago and has been reworked countless times including, of course, being turned into a compact version. Hill says that about 70 per cent of this version survived to see the light of day tomorrow. 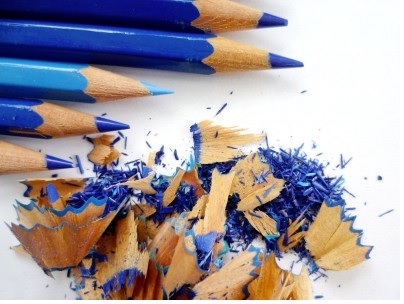 Material already in usable form was swiftly uploaded to the web - Ben Macintyre's even-handed appraisal for The Times, Andreas Whittam-Smith's similar effort for the Independent were among the first that went beyond the 'Thatcher is dead' formula. These had the sheen of something that had been polished and repolished. Matthew Parris's 'I worked with Thatcher in the 70s' and Paul Routledge's outpouring in the Mirror may also have been on the stocks, but they read like instant commentary and the websites benefited from that air of spontaneity. There were speedy blogs on the Telegraph site - Dan Hodges urging the Left not to be vindictive; Tom Chivers pondering the wisdom of a state funeral. He and John Rentoul in the Indie made the same basic point that it would be wrong because Thatcher had divided the nation and a state funeral should be for someone who united it - neither the Queen Mother nor Diana warranted one - but by the time their words were there for all to read, the decision had been made. So the most up-to-date medium was out of date? Yes it was, but the most up-to-date medium isn't the web per se, it's Twitter. Twitter was all over the place on this, with people hashtagging #nostatefuneral when it had already been announced that there would be none; Mrs T is to have a ceremonial funeral, but there's not enough space on Twitter to explain the difference and most of the news organisations' web teams were up to their necks and didn't have the manpower to do so - or at least not on the relevant post. Twitter was the most important factor in winning readers this afternoon - as Martin Belham predicted long ago with this spot-on pie chart. No newspaper can expect people, however loyal, to be using their website as their sole source on a story like this, especially if it is hiding its light under a paywall. This isn't a breaking or running story in the old-fashioned sense - a woman is dead, the great and not-so-good are busy spouting out their tributes and that's about it on the news front. Everything else is history, background, ramifications. You have to be tweeting to bring the readers in. And this is where the Twitter experts, whether professional hacks or citizen journalists, win. Nick Cohen was quick to give his Observer column on bankers a topical spin with a tweet 'one legacy of Thatcher...', even though the copy didn't mention her. 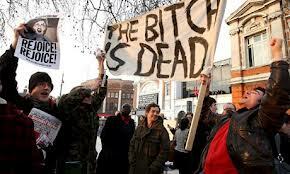 Sunny Hundai tweeted a link to his piece from December 2011 on privatising Thatcher's funeral. Seumas Milne of the Guardian pointed Twitter to an article from January last year. John Rentoul proved a masterly tweeter linking not simply to the Independent, but to Left Foot Forward - five progressive things by Thatcher's governments and a further six (less interesting) from Stumbling and Mumbling. Everyone had naturally planned to cover all bases: the basic timeline from grocer's daughter to tearful downfall; the political legacy, the creation/destruction of Britain; the impact on business, the arts, industry etc. All interspersed with the quotes, from St Francis of Assisi to Kipling; We have become a grandmother; Rejoice, There is no such thing as society, The lady's not for turning and other ill-advised utterances. 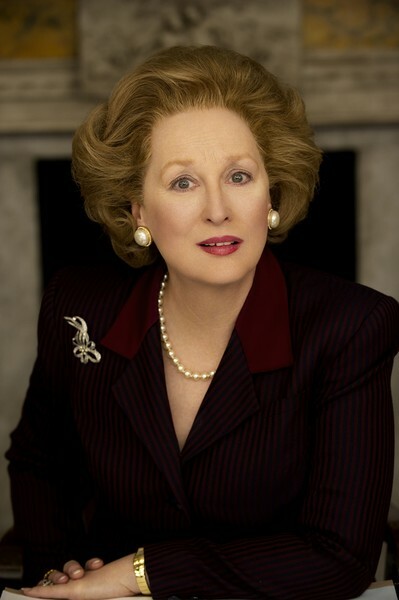 Thatcher as fashion icon? - I don't remember that in the coverage of Churchill's death - but we have parades of Aquascutum outfits, loads on handbags and even the make-up routine, God help us. My favourite of this lot came from the Forbes website, which ran a gallery of 11 pictures, the first of which was of Meryl Streep. The Guardian may have thought it was going a little left field with its bit on five songs about Thatcher, with the aside 'we tried to find some nice ones', but there was much focus on songs, especially Elvis Costello's Tramp the Dirt Down and the unlikely campaign to take Ding Dong the Wicked Witch is Dead to number 1. There's no dodging the fact that many have been looking forward to this day for a long time. The website isthatcherdeadyet? 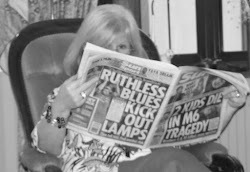 had a huge black underscored YES with the subhead 'The lady's not for returning' and a growing tally of Facebook likes (208,000 as I write). It asks people to say how they're celebrating and points to sites detailing parties. But when you click on these links, there seem to be fewer than you'd expect in the mood for grave-dancing. 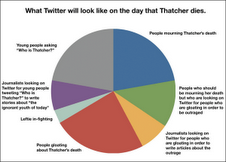 Indeed, even for those who were celebrating there was more hilarity over the hashtag #nowthatchersdead than about the death itself. Cher found herself trending as thousands read it as now-that-chers-dead. Early in the day the Mirror reported David Hopper of the Durham miners describing Thatcher's death as a 'great day' and a special 70th birthday present. Routledge's piece was damning and Andy Dawson said he despised her for what she did to his community in Sunderland. The link to Glenn Greenwald's piece for the Guardian about 'misapplied death etiquette' was retweeted over and over, mostly on the basis of his comparison with the Right's reaction to the death of Hugo Chavez, but it was largely irrelevant. The really vicious personal 'rot in hell' venom was limited, and the commentators, Right as well as Left, barred no holds as they examined the nature of her politics and influence for good or ill. 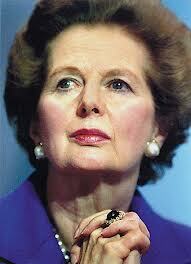 Even the most Thatcherite media conceded that she'd made some dreadful mistakes and split the country. Gerry Adams and Dennis Skinner made their loathing plain in clear, unemotional statements; they showed that to condemn Thatcher's actions was damning enough without rejoicing in a demented old woman's death. Even so, the Mail and Express both puffed and blew indignance at the wicked trolls who were despoiling their heroine's memory, but they had limited examples - and they were remarkably similar. Only a few minutes after the death of the 87-year-old the Respect MP for Bradford West took to his Twitter writing 'Tramp the dirt down.' His response... was met with disgust by many users on the social networking site.It is thought the MP was referring to an Elvis Costello 1989 song in which the singer vows to dance on Thatcher's grave. Meanwhile, a sick Facebook campaign has been launched to take Judy Garland song 'Ding Dong! The Witch is Dead' to number one.A series of pages urge people to buy MP3 downloads of the song, which features in 1939 musical The Wizard of Oz. One, called Make 'Ding dong the witch is dead' number 1 the week Thatcher dies, already had 590 members by 1.30pm with numbers rapidly rising. A website set up three years ago asking 'Is Margaret Thatcher Dead Yet?' was today updated for the first time with the word 'YES'. The website currently has more than 130,000 'likes' on Facebook and thousands of people have written about it on Twitter. 'Likes' on their Facebook page were rocketing at a rate of 2,500 a minute. Half the nation has mourned and half has scorned the death of Margaret Thatcher today, with vile Internet trolls "celebrating" the death of the former Prime Minister just hours after it was announced she had died at the age of 87. MP George Galloway was the first to provoke outrage after taking to Twitter and writing what has been branded a deeply shocking and distasteful comment. Only a few minutes after the death of the Baroness was announced the Respect MP for Bradford West posted: 'Tramp the dirt down'. His crass response was met with anger by many on the social media site with users labelling the MP "obscene," "vile", "odious" and a "heartless opportunist". It is thought the MP was referring to an Elvis Costello 1989 song in which the singer vows to dance on Conservative Prime Minister Margaret Thatcher's grave. Meanwhile, a sick Facebook campaign has been launched to take Judy Garland song 'Ding Dong! The Witch is Dead' to number one. 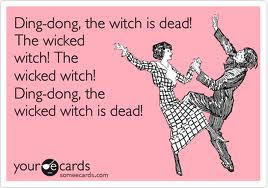 A series of pages urge people to buy MP3 downloads of the song, which features in 1939 musical The Wizard of Oz.One group, called Make 'Ding dong the witch is dead' number 1 the week Thatcher dies, already has 733 members with numbers rising by the minute. 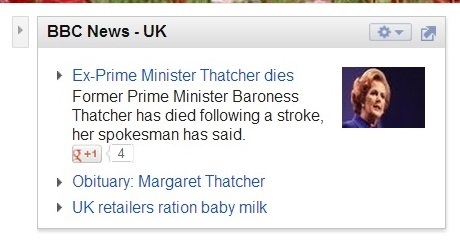 Elsewhere, a website set up three years ago asking 'Is Margaret Thatcher Dead Yet?' was today updated for the first time - with the word 'YES'. The website...currently has more than 130,000 'likes' on Facebook while thousands of people have written about it on Twitter. 'Likes' on their Facebook page were rocketing at a rate of 2,500 a minute. Thank heavens for news agencies on busy days. The focus for those looking to party was on Windrush Square, Brixton, but for a long while the revellers with their burning posters seemed to be outnumbered by reporters and copy on the celebrations was thin. There were richer seams to quarry in Glasgow, whose street parties saw a greater turnout. Much more fun was the news that an Oddbins manager had been suspended for tweeting: ‘If for any reason, anyone feels like celebrating anything we have Taittinger available at £10 less than usual at £29. Just saying …’ Can't help feeling sorry for him, Oddbins make a habit of turning news events into blackboard advertising and this was in exactly the standard style. So was there anything unexpected in this outpouring? Yes. Shirley Williams's disclosure that it wasn't Thatcher,Thatcher Milk Snatcher who stopped little bottles of warm sour milk being forced down primary schoolchildren's throats. She was the fall-girl for Chancellor Anthony Barber. An interesting admission, given that Williams was a Labour MP at the time. Her insistence in the 1980s that habits had to change to tackle climate change, which most on the Right believed to be a nonsense. Whatever you think of her politics, you have to admit that she was sometimes ahead of her time. Business Insider says she was 'freakishly correct' about the destiny of a single European currency when she predicted that the Germans would worry about the threat of inflation and the poorer countries would need to bailing out. And we journalists all owe her a debt of gratitude, since it was the youthful Margaret Thatcher who introduced the private member's bill that led to reporters - and the public - being allowed into council meetings. 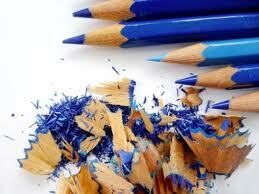 She advanced the bill in her maiden speech. Talk about starting as you mean to go on. Postscript: the morning after: And so here they are, a montage of front pages courtesy of Nick Sutton, editor of The World at One. I remember a Thatcher health scare very late one night on The Times in late 2008 or early 2009 where everybody, regardless of political affiliation, was praying that she wasn't, as was rumoured, about to die, since it would mean having to completely remake the paper and all staff working through to 4am or later to catch the last possible final-edition print deadline.